In an interview with the Philadelphia Inquirer, NJDOT Commissioner Jim Simpson said he would push for a dedicated source of funding for NJ Transit. 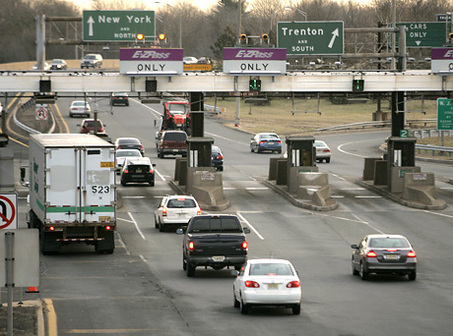 “It makes sense to fund NJ Transit out of [tolls on] the turnpike. It’s good policy to have highways fund transit, because each person on transit is one less on the highways” said Simpson. Dedicating funding would be a major step forward for the agency, which is currently the largest system in the country without a dedicated source of funding to operate its services. The result is that NJ Transit must rely on annual appropriations from the state government, and when those inevitably fall short, must engage in the counter-productive and unsustainable practice of using capital dollars from the Transportation Trust Fund to pay for operating expenses. The agency currently transfers about $350 million in capital funds to pay for operating expenses each year, and is in the midst of raising fares and cutting service to deal with a shortfall of operating funds. Still, a dedicated source of funding for NJ Transit, especially from auto tolls, would face many hurdles. Not least of which is the staunch opposition from Governor Christie to raising new revenue for transportation, even in the face of major service cuts and the looming bankruptcy of the Transportation Trust Fund. Ironically, Governor Christie’s own transportation transition team recommended adding tolls to currently ‘free’ roads like 78 and 80 as a way to raise revenue, though the Governor himself has opposed such an idea, which would nevertheless require approval from the federal government.